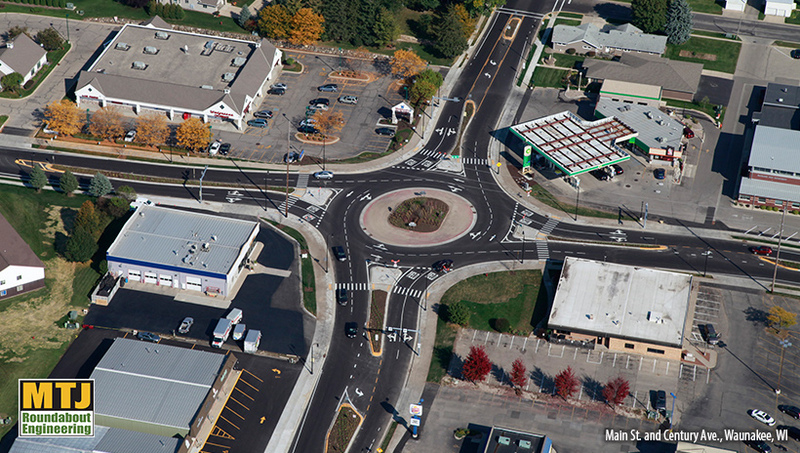 MTJ Roundabout Engineering is a leader in roundabout design, analysis, and implementation. We specialize in design/peer review of roundabout applications and use cutting-edge design principles to ensure optimal solutions for your project needs. Through expert application of sound roundabout and traffic engineering principles, MTJ provides peer review, design and redesign services to over 100 firms and agencies across the U.S. and Canada to ensure optimal operations, safety, and public acceptance. Using state-of-the-art, reliable modern roundabout design principles, together with proven traffic engineering, roadway planning, and roundabout design expertise, MTJ has contributed to over 400 successful roundabout projects in 26 states and two Canadian provinces, including many award-winning projects. MTJ’s design/peer review process considers the entire context of the roadway as it relates to a roundabout/intersection design. This holistic design/review approach allows for optimizing for safety and operations for all modes while minimizing impacts and costs. MTJ’s experience in transportation planning, traffic analysis and design allows for the development of appropriate designs that balance the inherent competing variables to meet project objectives with acceptable costs and impacts. MTJ’s comprehensive design/peer review approach identifies opportunities for design improvements to increase driver comprehension and optimize safety and operations. MTJ’s review process and subsequent recommendations are anchored in state-of-art roundabout design principles in concert with traffic planning and roadway engineering criteria.